Do you know which cannabis seed you are going to grow to a beautiful, green plant filled with lovely buds this year? Growing season is approaching, so decide quickly! That is, if you want to start growing cannabis on time of course. Of one thing we are certain: our private label cannabis seeds will not disappoint you. Even better, there really is no better choice. The private label cannabis seeds assortment consist of specially selected cannabis seeds from the top seed banks. We offer top quality seeds for a good price. Without advertising-, packaging-, research- and marketing costs. Our seeds are of equal quality as those from the big brands. Our collection of private label seeds consists of the best known (prize-winning) cannabis species on the market. With every order of private label cannabis seeds you will receive a germination set for free. Our private label cannabis seeds are produced by the biggest and best know seed banks in the Netherlands. Now we hear you say: Are the really the same? Yes, there is no catch, the same seeds of the same top quality. We purchase our seeds from brands that have earned various prizes in, for example, the High Times Cannabis Cup, HighLife Cannabis Cup or de Spannabis Cup. So, big players in the cannabis branch. All cannabis seeds are carefully selected and delivered to our warehouse, where we re-package them neatly and of course make them available for purchase on our webshop. But not before we lowered the price slightly. Lets be honest: who will not want to save money on cannabis seeds? Especially when the quality is guaranteed the be the same? In comparison to cannabis seeds from the big brands, you will pay a lot less for our private label seeds. The difference can be quite big. Take, for example, the world famous feminized White Widow seeds. The variants from Greenhouse Seeds and Royal Queen Seeds cost approximately 30 euro. The Dutch Passion White Widow about 50 euro. But, our Private label White Widow seeds you can order already for about 20 euro! We are not talking about a few euro’s difference here, but tenner(‘s) difference, without loss of quality. That you will definitely notice financially. It will enable you to purchase a grinder, cigarette paper, tip or other nice things. And the Tesla for the CEO. To be frank, you in fact pay for everything that stimulates sales for the big brands. For example, the costs for a website or personnel costs of the big brands. With every purchase of seeds from a big brand, you will pay a few euro’s of research costs. Which is hardly surprising. Because the seed needs to be thoroughly tested before it can be sold to everybody. This ensures the safety and improves quality. Then there are the costs for packaging. With us you order seeds without excessive packaging material. 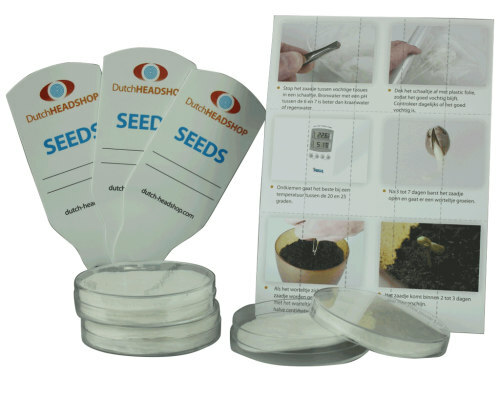 You will only get delivered what is necessary to receive the seeds in good condition, plus the free germination set. All in a compact round container. 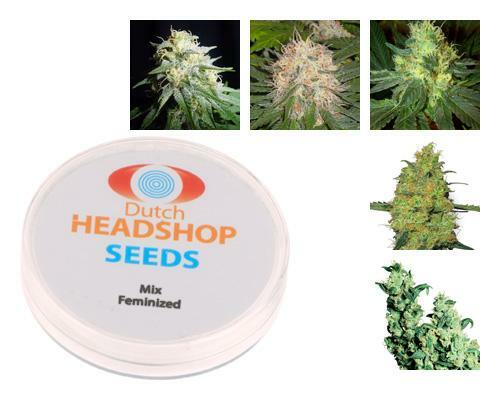 Private label seeds from Dutch-Headshop are an environmentally friendly choice as well. With our private label cannabis seeds from Dutch-Headshop, you will only pay for the seeds themselves! As previously stated, our private label cannabis seeds are not inferior to those from the big brands. But what does that actually mean? Quality of the cannabis seeds? Well, for starters, our seeds have all been feminised. This means that all the plants growing from our seeds are female. Cannabis, used for smoking or vaping, always comes from a female plant, because it contains much more THC. Further more, our seeds have not been genetically modified. This means that there has not been tampered with the genetic material. The natural composition of the cannabis seeds are thus unaltered. In addition, the seeds have not been sprayed with nasty substances or chemical pesticides. Very nice if you want to enjoy a natural product, right? 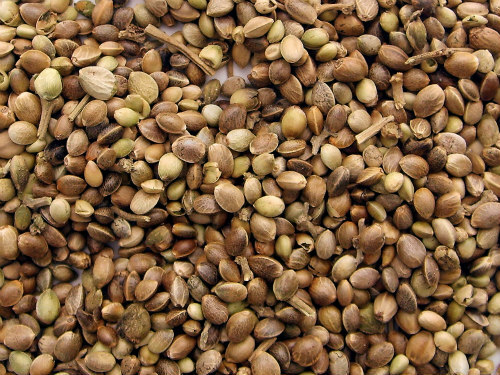 All different types of seeds also have exceptional medicinal properties and a lovely stoned or high effect. The excellent terpene profiles of our seeds ensure unique aroma’s and flavors. With every type its own flavor, property and effect. Of course we also expect every seed to germinate. That is why we only offer cannabis seeds in our private label assortment with excellent germinating power. That is how we ensure that you will not be waiting without result. In our selection of private label cannabis seeds you will find the same known strains as with the big brands. For example Amnesia Haze, Power Plant and Super Silver Haze. All cannabis types that (combined with developer) have won prizes in big cannabis cups. You will have your favorite weed growing at home, but then from our more profitable private label. Here you can choose from dozens of different types of private label cannabis seeds. What is Kratom and what are its Effects? How and when harvesting cannabis? Mescaline Cacti - How do you use Peyote and San Pedro? Indica vs. Sativa - Stoned or High? Which Effects can you expect from Cannabis?